Based in the Sheffield’s heritage Kelham Island Quarter, Pipe Ten has been providing web hosting solutions since 2002 with thousands of customers based around the UK and further afield. This role is ideally suited to a self motivated individual looking to build further on existing experience with bleeding edge web technologies; their availability, performance, security and support of. Working within a small but experienced, growing and passionate team; you will be very quickly exposed to all elements of operations with the opportunity to specialise. The role’s main duties will revolve around maintenance of Pipe Ten’s existing customers’ hosting infrastructure and also the build and deployment of new hosting solutions for customers. The types of systems you will get the opportunity to be working with will include services such as pfSense firewalls, XCP-ng/Xen Server virtualisation hypervisors, load balancers, Cisco switches, CentOS servers, Windows servers, email servers, DNS servers, database servers, CDP Backup, monitoring services, PCI ASV scanning, intrusion detection services and more. Depending on the candidate’s interests there are opportunities to concentrate on specific aspects of the hosting infrastructure. This could be the physical and network, the logical and software, the automation and operations or the compliance & security. 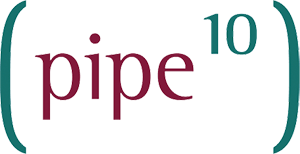 Pipe Ten are proud of their history of their team’s long service records within the organisation as they very much like to retain and reward talented and ambitious individuals. They positively encourage all team members to follow their passion to direct their career in their areas of interest whether that might be server administration, engineering, security or anything else. There are always long term opportunities to fulfil your career in the direction you want with Pipe Ten. The right individual will be a master of their own destiny, that is willing to learn, define direction of projects being worked on and ultimately share in the success of the company. You must have either recent (last 6 months), or previous significant (years) commercial/production/live experience of Linux environments (or similar). You must have exceptional communication skills both typed and verbal in English. You must demonstrate a driven, committed, flexible and proactive approach to work. You must have a passion for technology both inside and outside the working environment. You must have the ability to work well under pressure. You must take professional pride and seek to exceed customer expectation. Be able to demonstrate development/programming experience in the areas of software or systems automation. A valid UK driving license and appropriate vehicle. Web Infrastructure such as Http(s), Website files, DNS, Email, FTP and Databases. Common website applications such as WordPress, Umbraco, Magento etc. We value experience over qualification but CCNA, MCP, RHCE, CEH or similar would be beneficial. Previous experience in similar customer support or server maintenance focused roles. A team player able to work autonomously and with minimal supervision in a small team. Circa £ 30,000 per annum. Flexible Working, Part Time or Full Time. Free Friday Afternoon Beer Fridge. Company mobile phone, mobile internet connectivity and laptop. To apply for this position please email a copy of your CV through to jobs@pipeten.com in either Word or PDF format.